Payment is quick and easy. Less waiting time for your customers. Cash, debit cards, tokens, mobile payment, stickers, passes, club cards and even season tickets. The design of this device has been specially developed for easy transport. With only one cable this set can be connected to both power and internet. 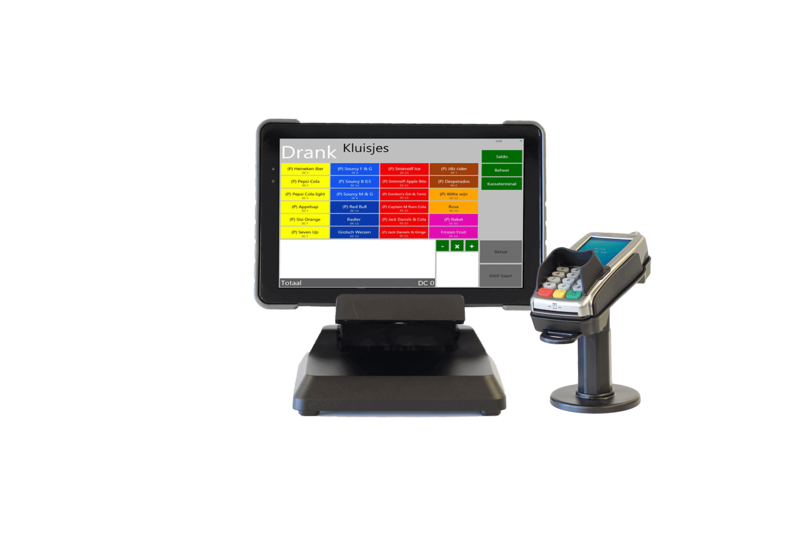 This is an ideal system for locations with a fixed payment point at various locations. The tablet is easy to disconnect, which enables you to walk around with the device. This variant is also available without a payment device. Little space, but still looking for a trendy payment solution? Despite the flexibility and the compact design, this cash register is idiot-proof and suitable for a professional working environment. 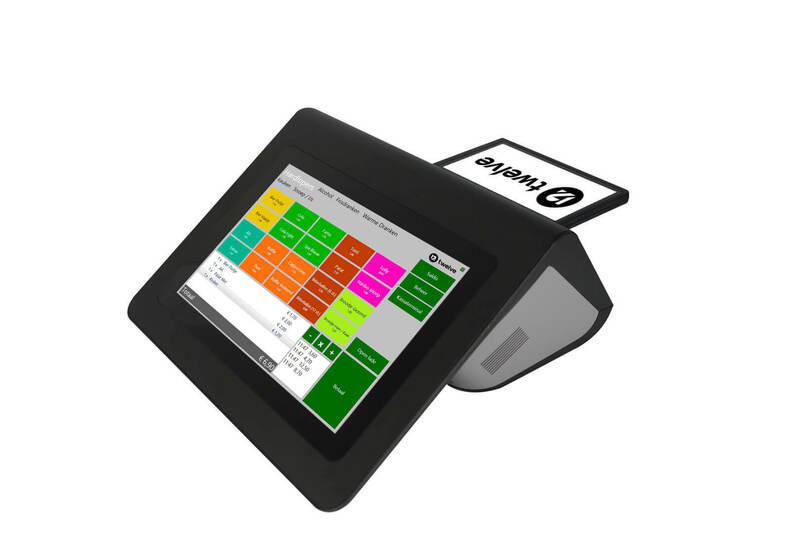 Besides our own checkout software, this model has a built-in receipt printer & a customizable customer display. 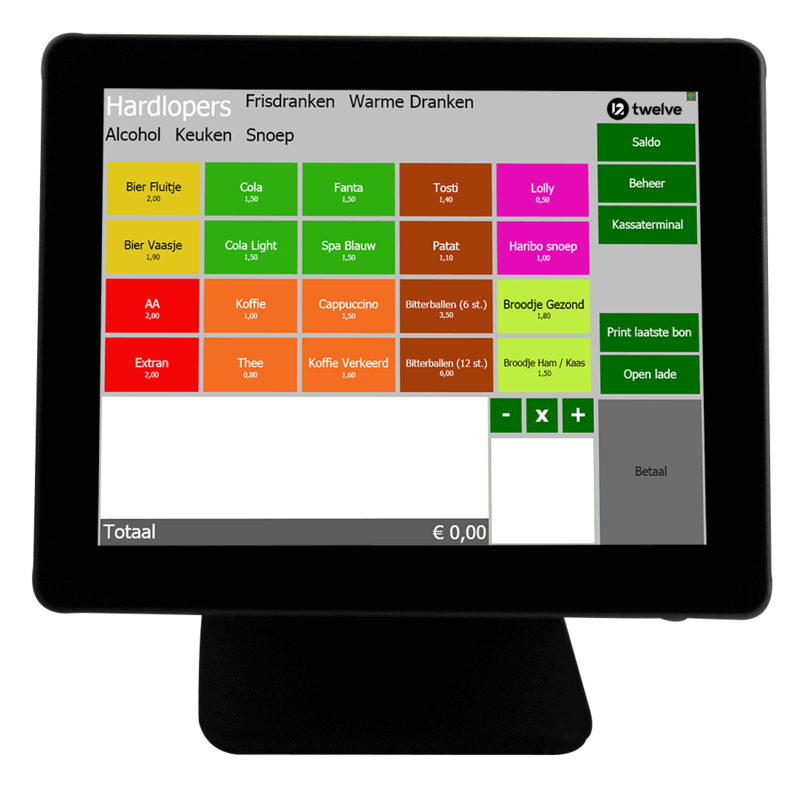 In that way customers can view their order and pictures and promotions can be showed to increase sales.